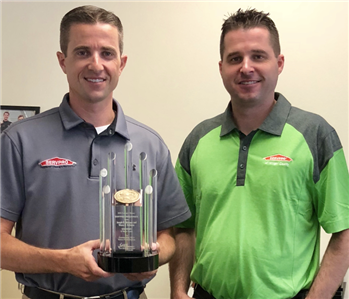 Owners of SERVPRO of Wright County, Joe and Shaun Hickman. They have over 30 years combined in the restoration industry. Our business motto is to "Create Happy Customers". Heather Darveaux is our Personal Property Manager at SERVPRO of Wright County. She has over 10 years of experience in the Disaster Restoration industry in a variety of positions relative to fire and smoke damage, specializing in the management of contents. She has extensive training and experience in handling contents involved in water, smoke, and fire damage. She also has completed several Customer Service training courses over the years. Stephanie Daluge is the Office Manager at SERVPRO of Wright County. She has 15 plus years of accounting experience and managing the office comes naturally to her. 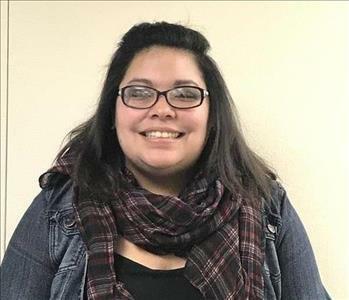 She has already learned a lot about the Restoration industry since starting her position last year. 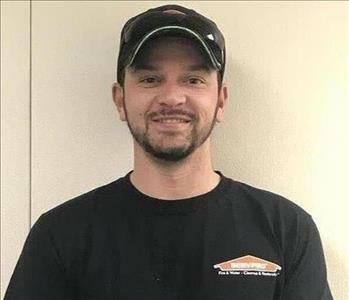 Gerrod is the Construction Coordinator at SERVPRO of Wright County. He has over 20 years of carpentry experience, as well as 3+ years in the Disaster Restoration industry. Gerrod has the skill and experience to take any type of loss and make it like it never even happened. 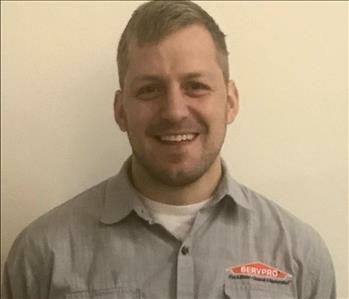 Evan comes to SERVPRO of Wright County with several years of restoration experience. He specializes in residential and commercial Carpet Cleaning, but also can help out the restoration crews when needed. We are excited to have Evan's experience, skill, and knowledge as a part of our team. 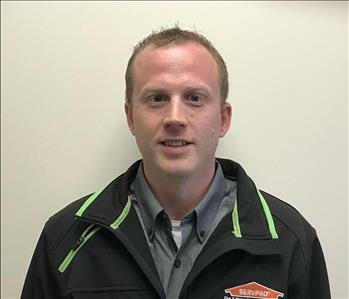 Nate is a welcome addition to the SERVPRO of Wright County team! He has excelled in both water and fire mitigation and is able to step in and fill many roles. 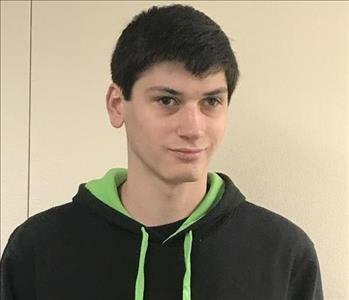 He has made a positive impression on both customers and coworkers in a short period of time and has a bright future in this industry. 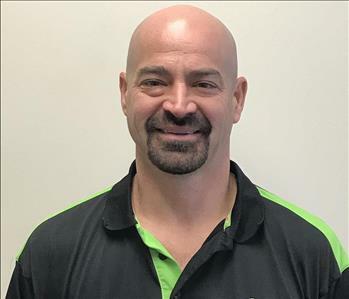 Robert Erlien fills several roles at SERVPRO of Wright County. His primary role is being a Project Manager, but we seek his assistance in many areas by taking advantage of his 8+ years of industry experience in areas of water restoration, fire restoration, mold remediation, construction, and estimating. He has the following certifications from the Institute of Inspection Cleaning and Restoration Certification (IICRC): Water Damage Restoration Technician, Applied Structural Drying Technician, and Carpet Cleaning Technician. 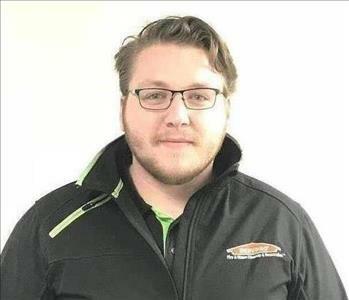 Devin has over 5 years of experience in restoration that he brings to the SERVPRO of Wright County team. 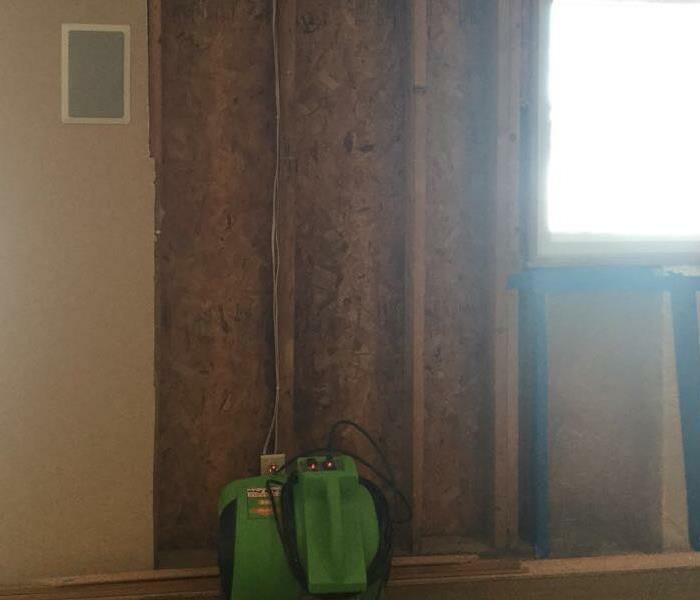 He is able to handle any type of restoration loss including water, fire, and mold remediation. Devin holds IICRC certificates in a variety of water and fire classes. 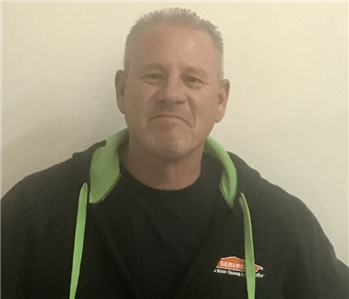 Steve Peterson is one of our Production Technicians at SERVPRO of Wright County. Steve brings over 2 years of experience in all areas of water and fire restoration as well as mold remediation. 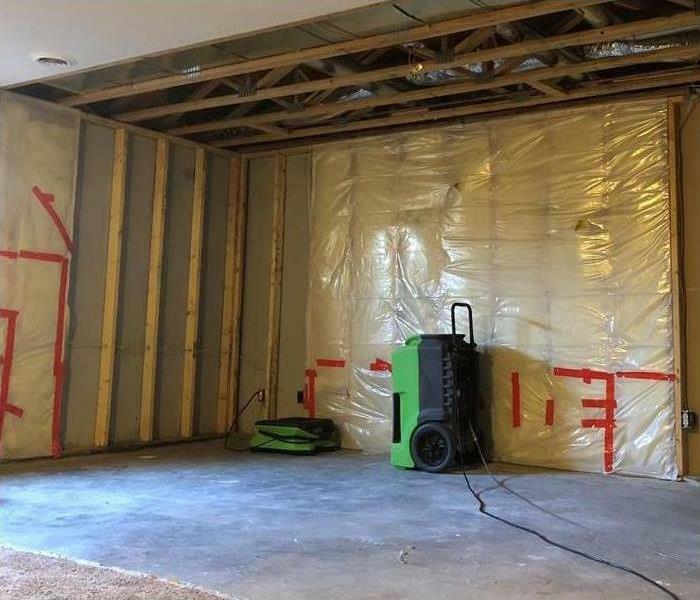 Steve has the following certifications from the Institute of Inspection Cleaning and Restoration Certification (IICRC): Water Damage Restoration Technician and Applied Structural Drying Technician. 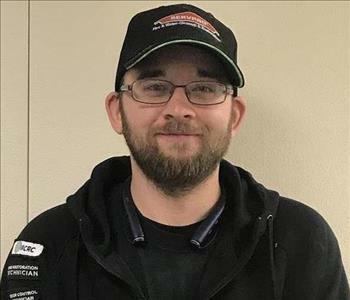 Adam Walz is the Construction Manager at SERVPRO of Wright County. He has over 25 years of experience in all areas of Carpentry and Project Management. He has the experience and expertise to guide homeowners and business owners with any size repair job relative to water damage, smoke and fire damage, or any other type of loss. Adam and his crew are also available 24/7 for any board up needs. Kristi Skogman is the Sales and Marketing Manager at SERVPRO of Wright County. Kristi has over 10 years of business to business marketing and sales management, as well as a proven track record of developing professional relationships with business contacts in the area. 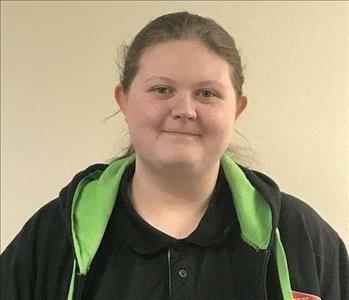 Kayla is one of our Fire/Personal Property technicians at SERVPRO of Wright County. She started working for us part-time getting her experience in all areas of fire and personal property restoration and has recently transitioned into a full-time employee. Teresa is the Job File Coordinator/Admin Assistant at SERVPRO of Wright County. She comes to us with over 3 years of experience in the Insurance industry which is serving her well in her role. 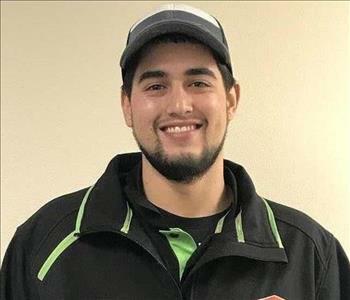 Cameron is the Shop Manager at SERVPRO of Wright County. He brings over 7 years of supply and logistics experience to his position that he gained in the U.S Army. He was the former facility and grounds manager at Camp Lejeune North Carolina and has 20 years of experience in the US Marines and the US Army. 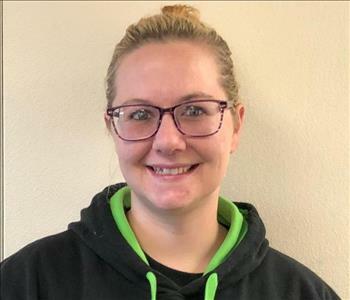 Caitlin is one of our Fire/Personal Property Technicians at SERVPRO of Wright County. She has almost 4 years of restoration experience, primarily in fire and content restoration cleaning. In addition to being certified in areas of fire restoration, she is also certified in carpet cleaning. Brad is a water and fire mitigation technician at SERVPRO of Wright County. He comes to us with over a year and a half of restoration experience in both areas. He has obtained IICRC certifications in lead as well as smoke and odor. Jerry is one of our staff carpenters at SERVPRO of Wright County. Jerry has over 6 years of Restoration experience on the mitigation side and several years of carpentry experience. 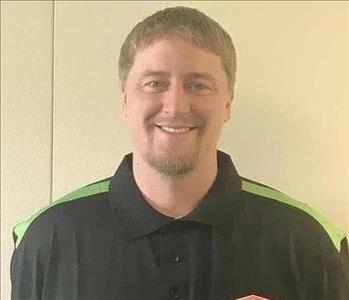 Trey comes to SERVPRO of Wright County with almost 4 years of experience in the Restoration Industry as a Project Manager. Trey is handling Project Management and estimating duties for us in a variety of areas including water, fire, and construction.